The United Arab Emirates has a long history of trade and travel with Iran which continues today because of the close proximity of the two countries. Workers and businessmen from Iran have made a home for themselves in Dubai and many restaurants, clubs and bars serve the Iranian expatriate community. 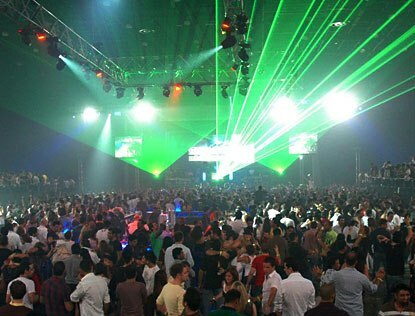 One of the most popular nightclubs in Dubai is the Al Zumorrod Nightclub in the Carlton Tower Hotel. The Iranian themed restaurant, bar and club seats 200 guests and has excellent food from Iran. Guests can order drinks at their tables from the bar and enjoy the live entertainment that takes place later in the night. The line up includes traditional Iranian dancers, Iranian singers and an eight member band that belts out Persian classics and contemporary hits. For visitors who cannot make it to Iran, Al Zumorrod is the next best thing. Guests should expect a lively crowd, a lot of good food and unique music. - In the initial part of the night Al Zumorrod is a restaurant that serves delicious Iranian food that is prepared by its professional chefs. The dishes include many favorites like naan, kufteh, kebab and dill rice. - After 9:30 PM the venue has live music and dancers. Folk dancers perform regional acts and are accompanied by music from the live band called Bakhara. The orchestra also plays along with the Irani singers that come in and sing traditional songs and the latest hits. - The dance floor is open for guests to move along with the music and drinks are available at the bar. The location of the venue makes getting there using public transport very easy. The closest metro stop is the Baniyas Square metro station which is only a few steps away. After exiting the train travelers need to head south on 27th Street and make a llight left onto Al Maktoum Road. From there they will need to turn right onto 11th Street and make another right onto Baniyas Road. The Carlton Tower hotel will be on the right. View Map.